years- charting the blossoming of a friendship in to something much more enduring as time goes on - and challenging both to question who they thought they were and who they truly want to me. 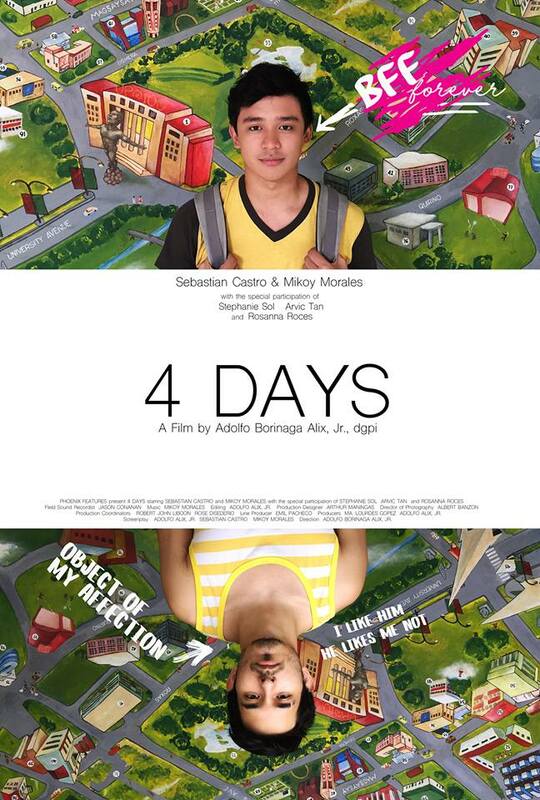 Painting a moving picture of how an abiding friendship can sometimes lead to love - and how we sometimes have to wrestle with our own demons to find their true self, 4 Days is achingly romantic and delicate. Watch 4 Days as it opens in the following cinemas this February 9 at SM Mall of Asia, Megamall, North Edsa, Fairview, Southmall, Bacoor, Sta. Mesa and Bacoor at 1:00pm, 3:30pm, 6:00pm and 8:30pm.